Sam Ruiz is an independent business advisor, and Non Executive Director, with extensive experience in equities trading, technology platforms and risk management. Prior to starting his own consulting firm in 2014, he was Senior Managing Director, Head of the Equities Division, and part of the European Management Committee at Nomura with responsibility for all Equity products, and 750 Trading, Sales, Research and support staff. Previously, Sam was Head of Equities Trading at Nomura (2008-2011), responsible for merging and integrating the two businesses (Lehman and Nomura), focusing on Technology platforms and Risk management. Here he was responsible for 200 trading staff. After 5 years at Nomura, he initiated and executed the strategic, and innovative, decision to transfer all of the Execution Services businesses from Equities, to Instinet. 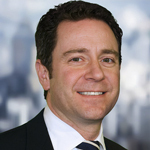 Prior to that, as Managing Director, Head of Equities Trading, Co-Head of Execution Services in EMEA at Lehman Brothers (2002-2008), Sam was one of the members of the Lehman Brothers Executive Committee that negotiated with, and then sold the legacy Lehman business to Nomura during the financial crisis in 2008.